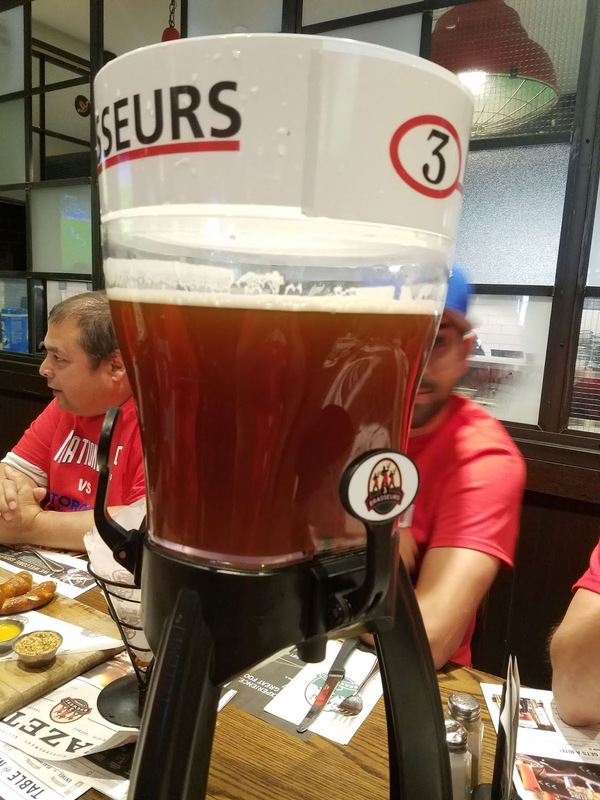 Toronto, home of the Maple Leafs and the Hockey Hall of Fame, the Raptors, the Blue Jays, and just as important, a vibrant craft beer environment. 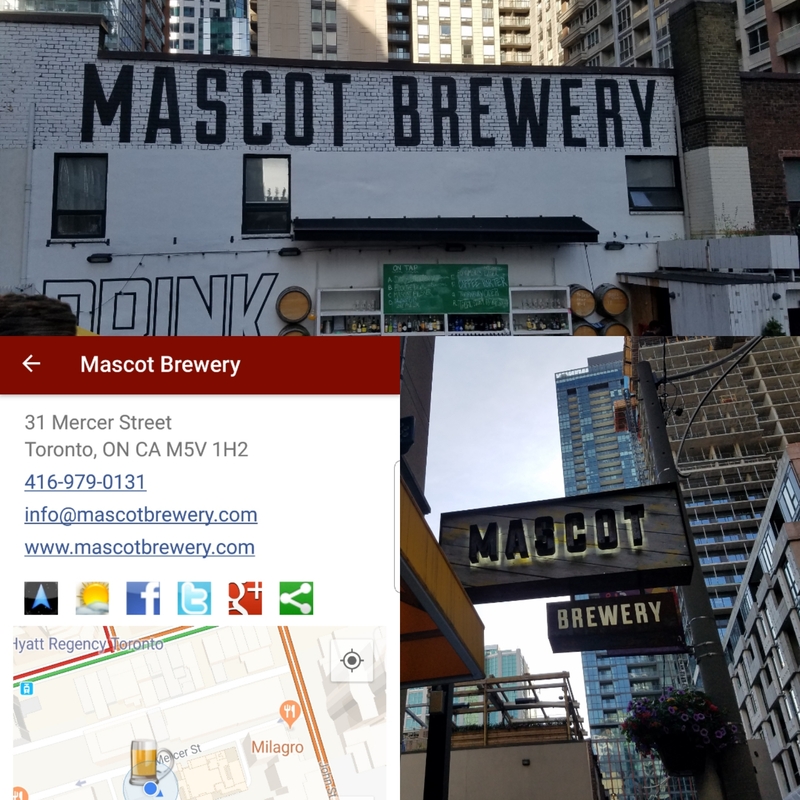 theCompass Craft Beverage Finder displays 45 establishments within Toronto so we anticipated a successful BlueJays-Nats series regardless of the scores. 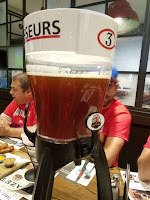 Our first stop was to a chain brewpub we had previously visited in Montreal, The 3 Brewers Yonge. This brewpub provides a core set of five beers with the White and IPA our preferred choices. However, each location also brews a seasonal and brewer's select beer with the former being a rather interesting Milkshake IPA and the second a delicious beer on cask which the brewer tapped for our benefit. Sadly, no one remembers the style or name. On the way to the Rogers Centre we detoured to Mascot Brewery as it's one of the closet brewery to the stadium (Steam Whistle Brewing gets those honors). Sadly Mascot will be relocating soon as rich Hollywood types are redeveloping this trendy section. But for now their rooftop beer garden is a main attraction and on a pleasant evening their Mascot Pilsener is excellent. Hopefully the new location will also contain a kitchen as their food menu looks equally appealing. 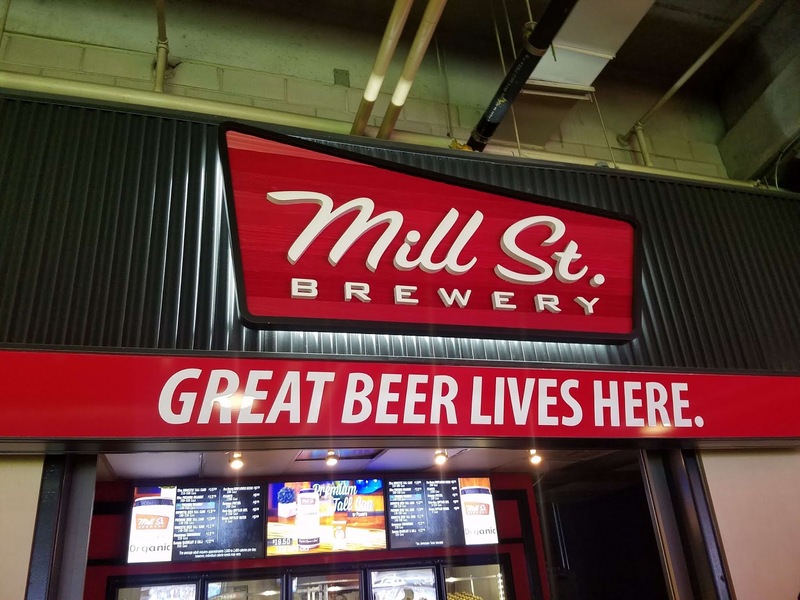 If you do make it out of Bells and get to the Rogers Centre, Mill Street Brewery has a stand behind our seats at Gates 5 & 6. 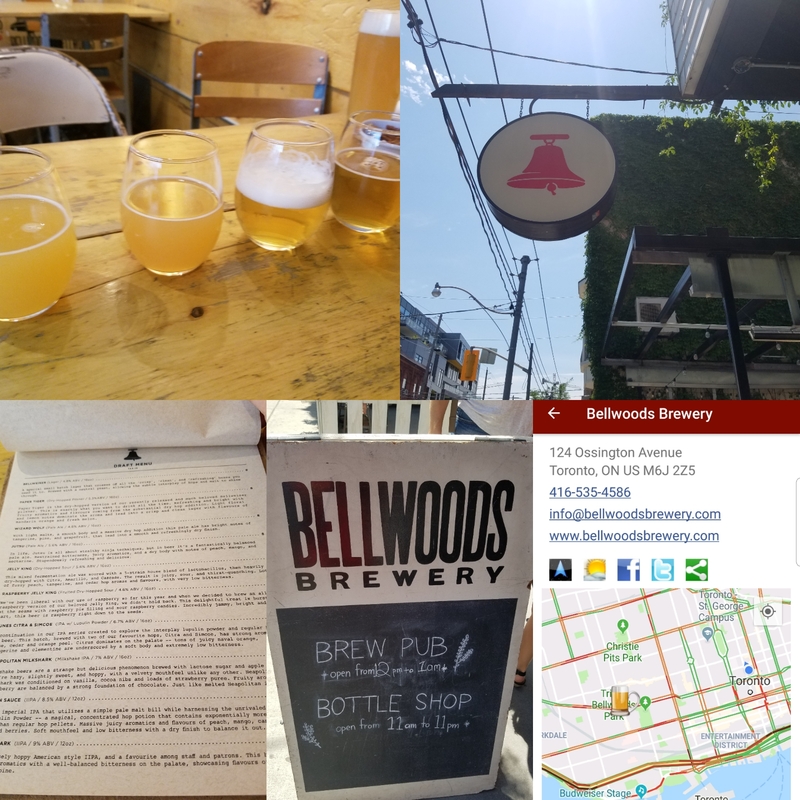 This Toronto brewery operates several brewpubs throughout Canada in addition to their Toronto brewery. During both night's games our group stuck to the Original Organic Lager and the Hopped & Confused Session Ale. 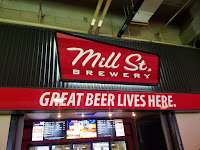 The Lager was the first beer brewed by Mill Street back in 2002 and is an interesting take of a German Lager using New Zealand grown Pacific Gem and Wakatu hops. The Hopped & Confused weighs in at a mere 4.7% abv but packs loads of fruit and citrus flavors. Two ballpark beers. 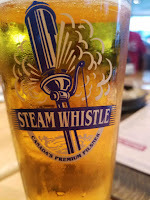 The aforementioned Steam Whistle Brewing's Pilsner is also widely available at the ballpark and surrounding bars. In fact, this pilsner is the brewery's singular focus and adheres to the Bavarian Purity Act of 1516 by using only pure spring water, malted barley, hops, and yeast. 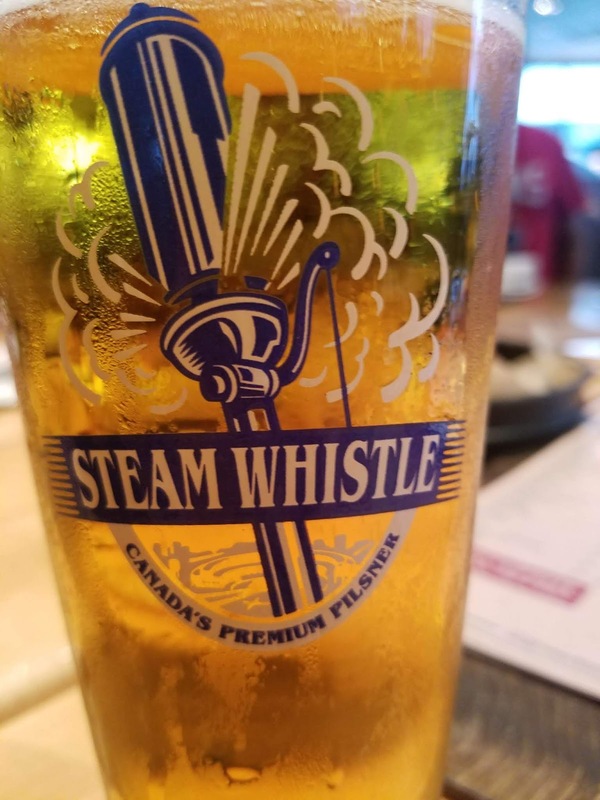 The spring water is from Caldon, Ontario; the barley is Golden Two Row from Saskatchewan; the hops both German and Czech; and finally, the bottom fermenting lager yeast is sourced from Hungary. That's an interesting combination of locations. But one location we love is the Toronto craft beer scene. Cheers. The Canadian Province of Ontario consists of four major wine regions: Lake Erie North Shore, Prince Edward County, Niagara-on-the-Lake, and Niagara Escarpment & Twenty Valley. 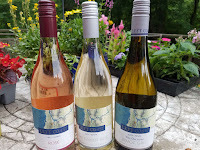 Whereas Niagara-on-the-Lake (40 wineries) was the birthplace of Ontario’s modern wine industry, the largest and most populous region is the Niagara Escarpment & Twenty Valley (47 wineries). "The Niagara Escarpment (a ridge carved by ancient glaciers) is a UNESCO World Biosphere Reserve" for not only the hundreds of plant and animal species, but also includes Niagara Falls and the distinctive micro-climate that supports Ontario’s most active wine region. 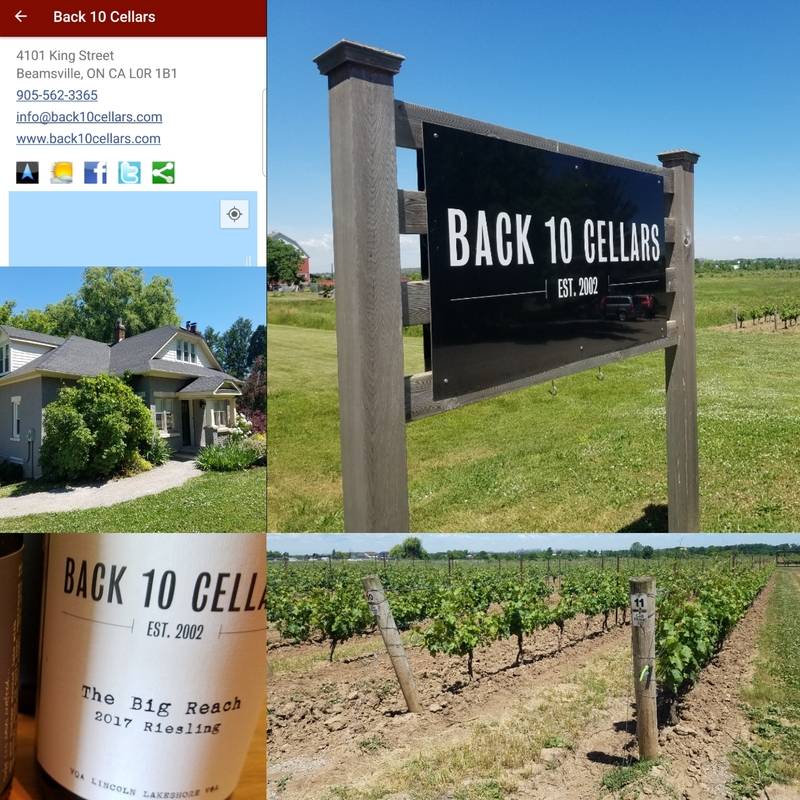 While driving from Buffalo to Toronto to catch the Nationals-Blue Jays series our craft beer-centric group stopped at one of these active wineries Back 10 Cellars just outside Beamsville. 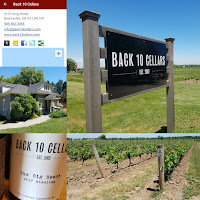 We only had a few minutes at the tasting room but we learned that the name refers to the 10 acre estate and that it took the owners 10 years to produce their first bottle of wine. The wines are mostly produced from this estate which is farmed utilizing some organic and biodynamic practices and hand harvested. Since there was no time for a formal tasting we grabbed bottles of three wines I thought would be interesting and representative of the region. 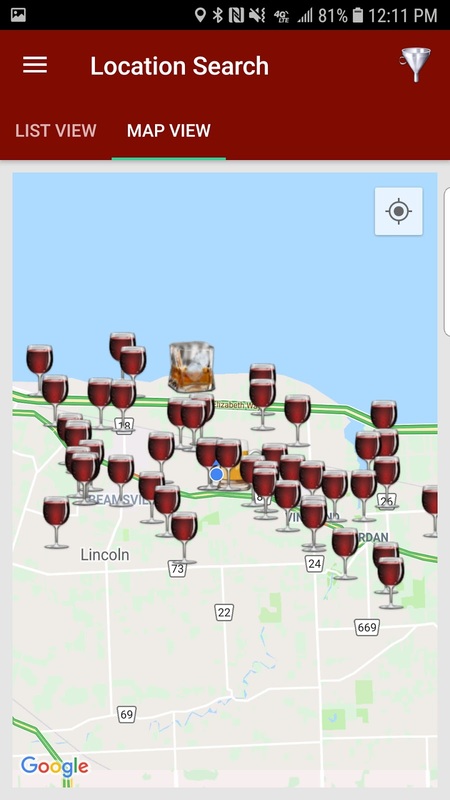 Cheers to UncorkOntario for the tip and as always you can explore Wine Country Ontario using theCompass Craft Beverage Finder. The Big Reach 2017 (CA$22.95) This Riesling was crafted from whole pressed free run” juice. It is off dry but the sugar isn't noticeable as the wine's acidity compensates. It shows a delicious combination of citrus, ripe apples, and petrol. .
Smitten Sparkling 2017 (CA$24.95) This Riesling sparkling wine is produced using the Charmat process where the secondary fermentation occurs in sealed pressurized tanks. Like the still version, the Smitten's acidity blows by any hint of sweetness and shares common characteristics sans the petrol. Everything At Stake Gamay 2017 (CA$24.95) The Gamay for this wine was sourced from the Bonamo Vineyard in the same Lincoln Lakeshore DVA. After fermentation the wine is aged four months in neutral American Oak and helps provide a lighter bodied fruit forward wine with soft but chewy tannins and powerful acids. An acid hound's dream and popular among this beer drinking crowd. American industry from two Hawaiian breweries to the continent from New Mexico and Arizona, through Oklahoma to Vermont and Maine. Despite being heavy in IPA's, sours, and barrel aged beers, some of these breweries poured palate cleansing lagers such as Hawaii's Kohola Brewery and their mineral driven Lokahi Pilsner. Likewise, cheers to more German Pilseners from Maine's Boothbay Craft Brewery Block of Time and Seattle's Cloudburst Brewing Happy Little Clouds. There were also a plethora of pale ales like Maryland's RAR Brewing's Slip Ons, Tampa Bay Brewing's Reef Donkey, and Night Shift Brewing's Whirlpool. Fifteen years ago these pales ales were the heaviest beers around but are and now competing with IPAs for attention. 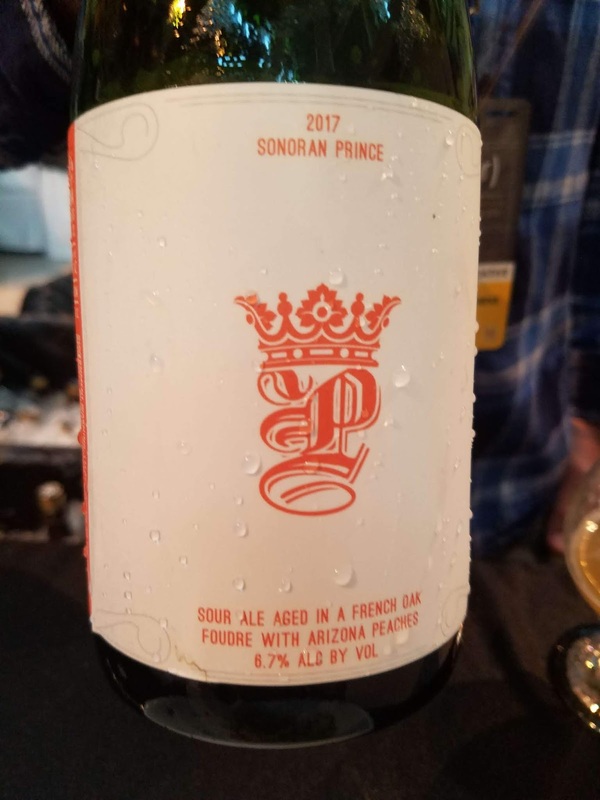 were the Arizona Wilderness Brewing Sonoran Prince (Fruited wood-aged sour) and Lexington Kentucky's West Sixth Brewing Sixfold X: Flanders Red (wood-aged sour). 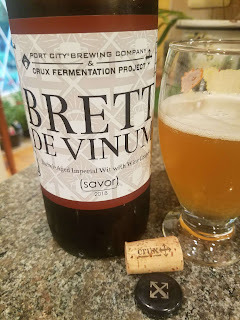 The former is an extraordinarily delicious sour ale fermented in French oak with local Florida Prince peaches and inoculated with various cultures. Evidently the native yeast on the peach skins add more layers. The West Sixth Flanders is a red sour ale that packs tremendous flavors (think tart cherry and back in the barnyard) using just malted barley, hops, water, yeast and 18 months aging in oak barrels. Honorable mentions go to Vermont's Four Quarters Brewing Fleur de Lis American Sour, The Lost Abbey's Veritas, Denver's Crooked Stave Artisan Beer Project Sour Rosé, Dogfish Head's Mixed Media (ale brewed with grape must). I see a wine theme there. brewed with organic pale malt and nearly two gallons of local maple syrup in each barrel. 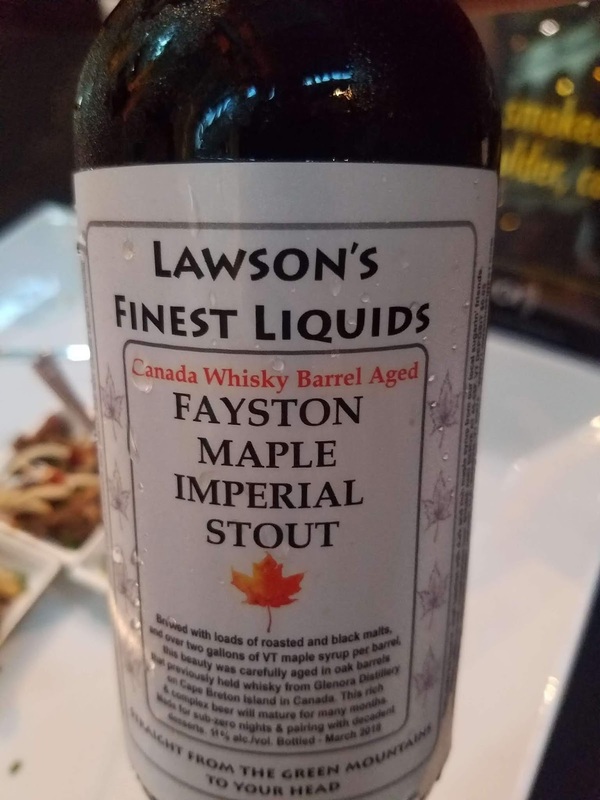 In addition Central Waters Brewing, from Wisconsin poured an excellent Bourbon Barrel Stout as did Colorado's Joyride Brewing with their Bourbon Barrel Aged Dr. Friese's Breakfast Stout. Yet the highlight came from Oklahoma City and COOP Ale Works. 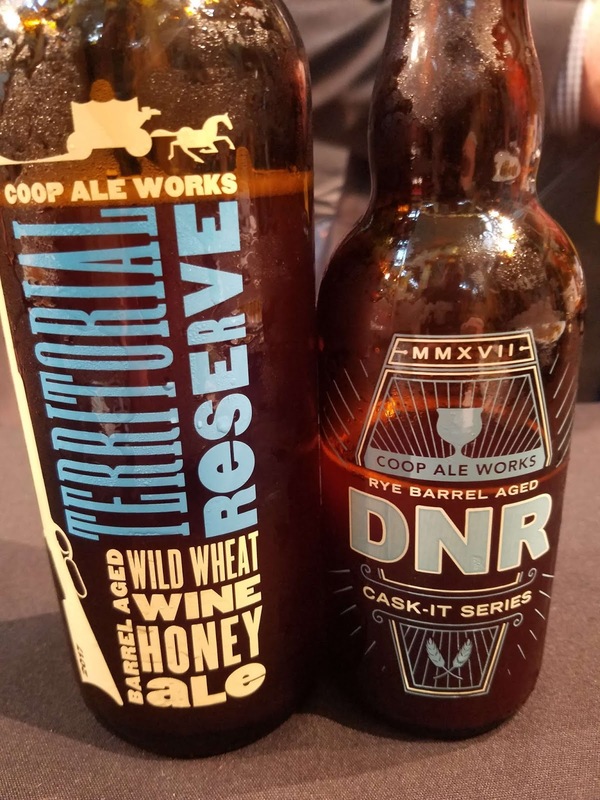 The Sooner State may be behind the national beer trend, but COOP poured two remarkable strong beers: 2017 Territorial Reserve Bourbon Barrel Aged Wild Wheat Wine Honey Ale and 2017 Cask-It Series Rye Barrel Aged DNR. The later is made from both malted and unmalted wheat, local alfalfa honey, and fermented wild yeast before resting in old bourbon barrels. The former has even more flavor as the rye imparts spicy characters into the Belgium Dark Strong Ale. Sadly, you have to get to Oklahoma City to enjoy these two. There were obviously many other quality beers not reviewed and which I didn't even get a chance to imbibe. Fortunately the Brewer's Association provides this opportunity to sample such a wide range of styles from such a divers geographic region. Cheers. 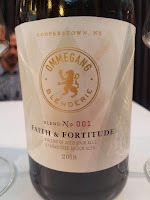 If you are a fan of Brewery Ommegang's Three Philosophers blended beer then you would be interested to know that the Cooperstown New York brewery has launched Blenderie Ommegang, a project focused entirely on very small-batch blended beers. Since the 2002 release of Three Philosophers, the brewery has released other blended beers using combinations of barrel-aged dubbels or two very different saisons or even a mix of stainless steel-aged lactic sours such as in the Pale Sour. According to Ommegang Brewmaster Phil Leinhart, “with blending, we can create flavors and layers of complexity that are otherwise impossible to achieve". 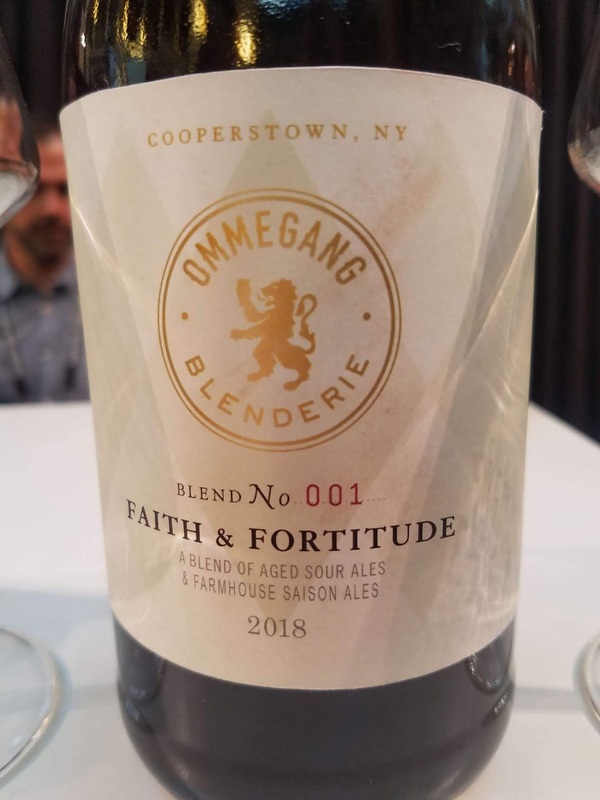 Using this philosophy, Blenderie Ommegang will release blended beers in a more timely fashion with the first two releases in the series blended with beers from two of Ommegang’s sister breweries in the Duvel Moortgat family: Liefmans Craft Blenders in Belgium and Firestone Walker Brewing Company’s Barrelworks in Buellton, California. “With access to a range of beers from world-class breweries, we can multiply the possibilities and take full advantage of the amazing talents within the family,” explained Ommegang President Doug Campbell. 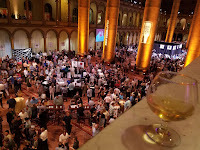 The initial blend Faith & Fortitude debuted at the annual SAVOR: An American Craft Beer & Food Experience and is a combination of aged sour ales and farmhouse saisons. It weights in at a moderate 6.5% ABV and hit several fruit notes from tropical to citrus to stone fruits enveloped with a saison funk. The beer finishes dry and savory. Look out for the upcoming second release, Zen & Zymurgy, a mixed fermentation sour with a delicate saison base and four distinct yeast cultures. In the meanwhile I'll be headed to Norms to bring home a few 750s of Faith & Fortitude. Cheers. June 5th was the last day for comments regarding the proposed Van Duzer Corridor AVA, a viticultural area that would be carved out of the existing Willamette Valley AVA from portions of Polk and Yamhill Counties, Oregon. About the same time I opened a trio of wines from Left Coast Estate whose 350 acre contiguous estate lies entirely within this pending AVA. The grapes for these wines benefit from the Willamette Valley's three major soil types (marine sediment, volcanic sediment at higher altitudes, and loess from the Missoula Floods) as well as from the cooling breezes from the Van Duzer Corridor. This cooling allows the grapes to retain acidity which is reflected in these samples. 2017 The Orchard Pinot Gris ($18) is a blend of 91% Pinot Gris and 9% Pinot Blanc. The Orchards is the winery's prime estate for Pinot Gris and once hosted apple, pear, and cherry orchards. This is a fresh wine, great acids with plenty of citrus and green apples. Besides the refreshing acids the wine finishes with a steely minerality and tea. 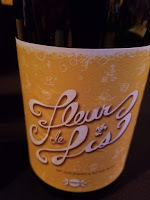 2017 Rosé ($25) consists of 54% Pinot Noir, 40% Pinot Meunier, and 6% Pinot Blanc sharing more traits with Burgundy other than residing along the 45th parallel. The wine was fermented in oak which provides a fair amount of texture to augment the light cherry - strawberry flavors. Finishes dry and savory. 2017 White Pinot Noir ($24) contains 91% Pinot Noir and 9% Pinot Blanc. The grapes are crushed at cold temperatures to ensure minimal coloration from the skins and then fermented and aged on lees in stainless steel. This process provides plenty of body - a creamy texture - that envelopes the citrus and stone fruit flavors. 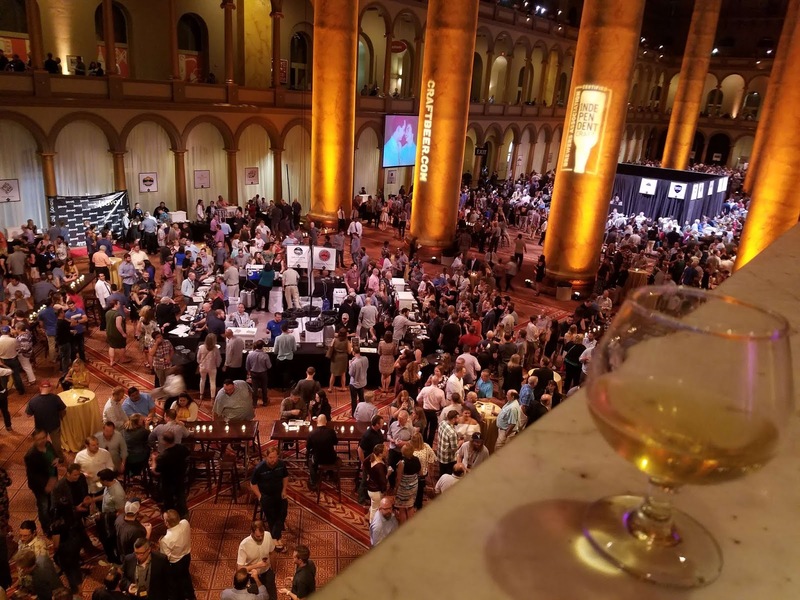 One of the highlights to the annual SAVOR: An American Craft Beer & Food Experience is that every guest leaves with a parting gift — a collaboration beer brewed specifically for the event. 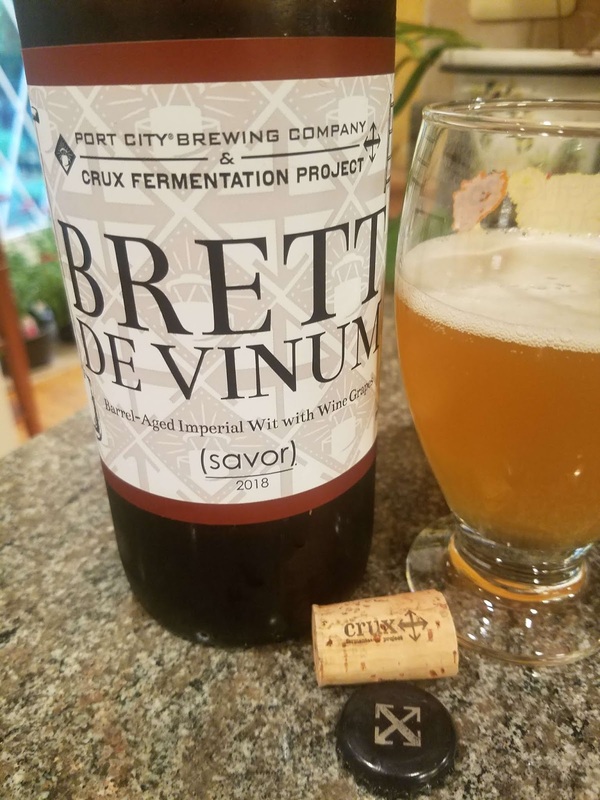 The 2018 collaboration beer Brett de Vinum is a partnership between Virginia's Port City Brewing Company and Oregon's Crux Fermentation Project. 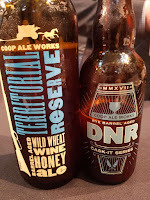 Port City's Founder Bill Butcher explained how two breweries from opposite ends of the country partnered in creating this Barrel Aged Imperial Wit (8.0% ABV). 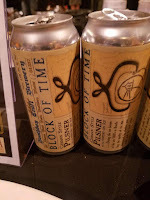 The two breweries have admired each other's beers over the years and over multiple calls and meetings discussed recipes, styles, and each of their strengths. One of Port City's strengths is brewing with raw wheat (Optimal Wit) and one of Crux Fermentation's strengths is barrel aging and mixed fermentation.According to Bill, "They wanted to learn more about brewing with wheat, which is not such a common style in the Pacific Northwest, and we wanted to learn more about mixed fermentation and barrel aging. As discussions progressed, we settled on a Barrel Aged Imperial Sour Wit". As they refined the recipe they thought it would be interesting utilize wine grapes in order to boost the sugar content and achieve a stronger Imperial alcohol level. Again from Bill, "The National Sales Manager for Crux is a colleague of mine from Robert Mondavi, so we thought it appropriate to use wine grapes. Viognier is a grape that grows well in Virginia and in Oregon, so it naturally made sense to use Viognier". Since Pinot Noir is Oregon's signature grape "healthy" doses of that grape were also used. And since production occurred at Crux's facility in Bend, they sourced Oregon grapes. After fermentation, the beer was “banished” into red wine barrels with Crux’s house strains of Brettanomyces. The result is a delicious beer combining the freshness and citrus yeastiness of the Optimal Wit with an enhanced creamy texture with just hints of sourness. Fortunately the breweries closed the bottles with a cork so that it can be enjoyed over multiple evenings. Cheers to collaborations and SAVOR.